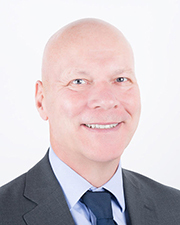 NEW YORK, NY According to Rider Levett Bucknall (RLB), the international property and construction consultancy, Michael Moynihan has been named resident manager of its NYC office. Moynihan’s expertise in hospitality, commercial, and residential sectors aligns with the continued strength of the Big Apple construction market. In his previous role of vice president of Pacific Eagle Holdings Corp., he established the cost and commercial management process and procedures for numerous projects for the group, including its Langham and Eaton brands. Prior to that over 25 years in private practice in New York, Hong Kong and the U.K. The New York Building Congress sees growth in all three of these areas; this year, non-residential spending is projected to hit $22.1 billion, and spending in the residential sector will reach $11.6 billion. A member of the Chartered Institute of Building and the Chartered Institute of Arbitrators, Moynihan also holds a Master’s Degree in Management in Construction and Construction Law from Kingston University, Surrey.